THE largest gathering of key decision makers in the blood banking industry outside of the AABB Meeting. The 2018 Exhibit Hall will be the center of activity at the Renaissance Glendale Hotel & Spa. Conveniently located next to the meeting rooms for the educational programs, the hall will also host meal functions throughout the Joint Meeting. Over 50 exhibitors are anticipated to showcase their resources, products and equipment. 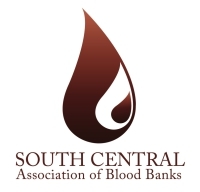 All levels of professionals within the blood banking industry will attend, including key decision makers. 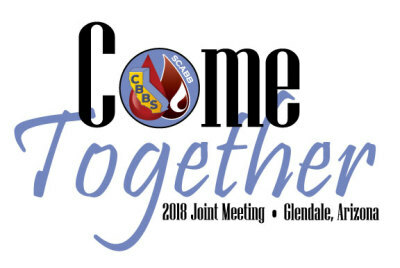 This combined forum provided by California Blood Bank Society and South Central Association of Blood Banks is an excellent opportunity for exhibitors to meet new prospects and network with existing clients. The Joint Meeting attracts decision makers from across the industry. Exhibit Hall hours are listed below. Please make sure a representative is at your booth during exhibit hours. Please note: the exhibit hall is not open during educational sessions. ​* BONUS Exhibitor Exposure - Exhibiting Sponsors are encouraged to make use of Joint Meeting Special Functions to extend their networking with attendees outside the Exhibit Hall. IMPORTANT - PLEASE READ: Tearing down booth displays prior to the close of the Exhibit Hall on April 27th is NOT allowed. Please plan departure flights accordingly. However, we do understand that emergency cases may arise. In this case you must get approval from show management before packing up your booth. skirted table, (2) chairs, and a wastebasket. The Ballroom is fully carpeted and beautifully decorated to provide a comfortable environment during exhibit hours. Additional 10’ X 10’ booths beyond your initial sponsorship can be purchased at $2,000.00 each. ​​Find complete meeting exposure by sponsoring networking special functions or long lasting promotional items to keep your company in front of attendees during and even after the conference. ​​​​​​​​Complete exposure doesn’t get any better than this. Attendees will see your logo every time they open and use their mobile app. Your sponsorship begins when the mobile app is released (around 30 days prior to the conference). Don’t miss the opportunity to sponsor this high energy networking and social event of the Joint Meeting. • Tickets customized with sponsor logo. • Attendees will have to visit the sponsors booth to obtain their ticket to the party. ​​​The community project has come to be an attendee favorite since it was offered for the first time in 2016. The mixer will take place outside in a beautiful Courtyard. Hospitality suites will be located just inside the Courtyard and will provide attendees with a place to cool off and grab some food. New to this year’s sponsorship menu is the chance to host a hospitality suite during the Come Together Mixer on April 26th. • Company logo on drink tickets given to attendees. ​​​​​​​​​​Partner with us to keep attendees hydrated in the Arizona heat! • Advertisement on water stations throughout the conference. The Advanced Immunohematology & Molecular Symposium (AIMS) takes place in conjunction with the Joint Meeting but is a seperate registration. Please visit the SCABB website for more information. ​​Sponsoring an Industry Workshop allows you to contribute to the overall value of the Joint Meeting’s educational programs and increase awareness of your company’s resources and service offerings. Industry Workshops will take place on Wednesday, April 25th. ​​​Under most circumstances, it is expected that the workshop provider will be an exhibitor at the 2018 Joint Meeting. Companies can submit applications for multiple workshops; however, only one application will be accepted for presentation unless additional space is available (space limitations require this restriction). Joint Meeting Exhibiting Sponsors at the PLATINUM and DIAMOND Level will be given priority. Deadline for applications is February 5, 2018 and will be accepted on a first come-first served basis. ​​​​Industry Workshops are intended to educate Joint Meeting attendees on subjects such as customer implementation of new products or technical presentations on new methods and products. The sessions must be educational in nature and should not be used as a sales or marketing opportunity. Selection criteria for all workshops include educational content, relevance, duplica-tion with scheduled Joint Meeting sessions and application date. The Joint Meeting will provide publication of the title, facility, educational objectives, event description of the workshop in the Final Program and meeting space for 75-100 attendees set for capacity attendance. Projectors, high-speed internet access and AV equipment beyond a podium, microphone and screen will not be covered by the workshop fee and are the financial responsibility of the presenting sponsor.